Our new range of In Line Load Cell Amplifiers and Load Cell USB modules enable you to quickly download and analyse data from your load cells directly into your PC. Please note, these in-line conditioners are only available to buy with our range of new load cells - we do not sell them separately. 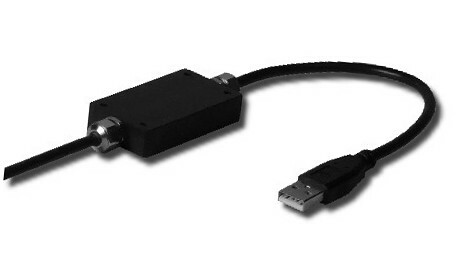 This module allows you to plug your load cell directly into your PC/Laptop via the USB port. Data can then be viewed and logged on your PC. The logged data can be loaded into Excel and many other spreadsheets to produce graphical reports etc. 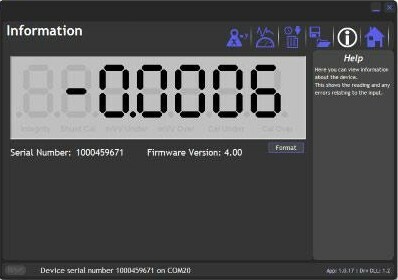 Multiple load cells can be connected to your PC in this way and our free software allows you to display and log of up to 24 channels simultaneously (maximum channels may be dependent on PC). Power to the load cell is supplied by the USB port, so no external power supply is needed. See below for PC screen shots. Note: Linearity and Temp data refer to the performance of the module only. 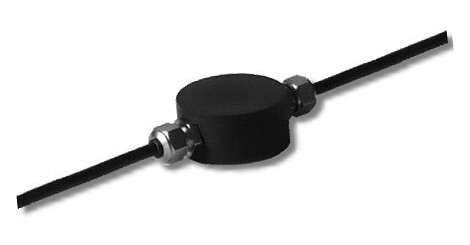 Refer to load cell specification for load cell data. Calibration of load cells and modules is in compression unless specified otherwise (please specify in "customer notes" box when going through checkout).